June is LGBTQ Pride month. That’s when the Stonewall riots — the famous riots that lead to the modern gay rights movement — happened in 1969. 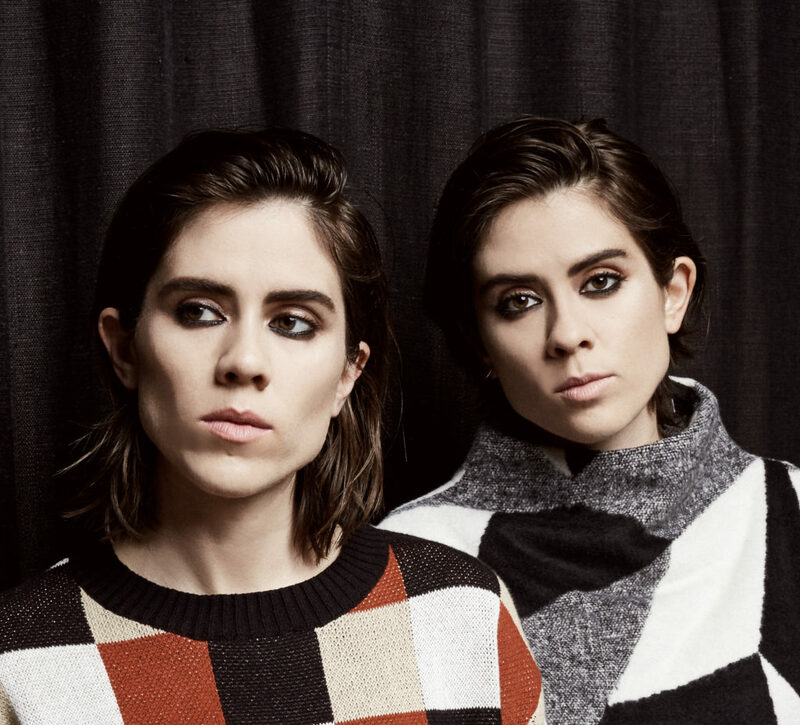 And we thought it would be nice to mark the occasion with a rollicking chat with two LBGTQ pioneers, the Canadian musicians Tegan and Sara Quin…who also happen to be devoted podcast fans. FYI. The identical twins have been making music together since the mid-90s. They’ve been openly gay since the start of their career, and they’ve always been vocal advocates for the queer community. Recently, they started the Tegan and Sara Foundation dedicated to economic justice, health and representation for LGBTQ girls and women. During our interview, the pair had a lot to say on the joys of air travel, the business of music and the Beatles of podcasting (SPOILER: Sara says it’s This American Life). Basically, they just had a lot to say — so much so that we turned their interview into its own special episode. You can listen to it here. Nancy — For a while there was a notable gap in the podcast landscape — shows about the LGBTQ experience. Well, not anymore! Through narrative reporting and interviews, Nancy explores stories about the early days of HIV, the Pulse Nightclub shooting and noted gay icons, the “Golden Girls,” to name a few. Plus, a they feature a number of personal stories about coming out and facing demons and speculation about the queer undertones of the Harry Potter series. Beginner — When Misha Euceph was in middle school in Pakistan, her parents packed up the family for a “vacation” to the U.S. That vacation became permanent, as her family resettled in California. As a result, there are many things Misha should have learned that got lost in the shuffle — how to ride a bike, proper etiquette at a dinner party, even a lot of pop culture. In this podcast, Misha documents her efforts to learn all the stuff she missed when she was a kid. Do you have a podcast recommendation you’d like to share with us? We want to hear it! Give us a jingle on the Pod Line at 202-885-POD1 and leave a message. Then we’ll put you on the radio and you can tell your mom you finally made something of your life..